Low-power servers running on Calxeda's 64-bit ARM chip will be available a year from now, Calxeda said. Samples of Calxeda's 64-bit chip will start shipping in the first half of next year, giving server makers a chance to test out the chips before building final systems, said Karl Freund, vice president of marketing at Calxeda. Servers will become available a few months after that. 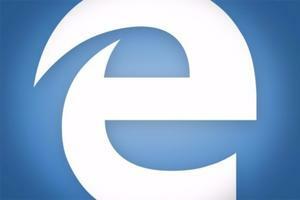 "64-bit is coming, it will be an amazing change in the [server] industry," Freund said. "Our priority is to get them to market as fast as possible." 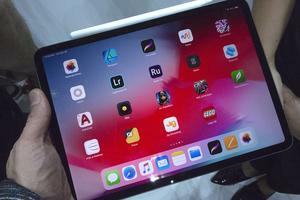 ARM processors, used in most smartphones and tablets, are increasingly being viewed as a power-efficient alternative to Intel's x86 chips, which dominate in data centers. Some believe ARM servers could be good for Web hosting and processing Web requests, which could help cut electric bills in data centers. Hewlett-Packard is on tap to use Calxeda's ARM chips in its Moonshot dense server, which currently runs only on x86 processors. ARM 64-bit server processors will also be shipped next year by AppliedMicro and Advanced Micro Devices, which offers x86 chips but is betting its server future on ARM processors. The company has two 64-bit ARM-based server system-on-chips code-named Lago and Sarita on tap, and Freund said more employees are being assigned to work on the products. 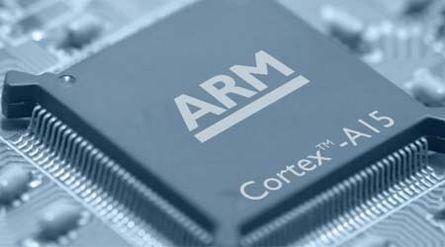 The chips are based on ARM's ARMv8-A processor architecture, which was announced in 2011. There has been a slight delay in the delivery of 64-bit ARM chips from many companies to server makers. The 64-bit ARM processor is also used in Apple's A7 mobile chip, but Freund said making server chips is more complex as networking, I/O and memory controllers need to built into a system-on-chip alongside CPUs. "People set unrealistic expectations on 64-bit and were very aggressive in schedule. It takes time," Freund said. Meanwhile, Calxeda will release its EnergyCore ECX-2000 chip, based on ARM's Cortex-A15 processor design, which could help speed applications in OpenStack distributed computing environments. The chip supports 32-bit addressing and will be found in "beta" servers by the end of this year, Freund said. The Calxeda chip supports virtualization and Xen hypervisor. Most server applications today are 64-bit, but the ECX-2000 has found use in cloud servers and storage applications, Freund said. Aeon will sell 1U servers by the end of this year, and a nonoperational sample of HP's Moonshot server with ECX-2000 chips will be shown at the Open Server Summit trade show this week. A release date for the ARM-based Moonshot hasn't been announced. Servers from Boston Ltd. and Penguin Computing will be available with the ECX-2000 chips, Calxeda said. The ECX-2000 has four Cortex-A15 cores running at 1.8GHz, and draws six watts of power. The chip is a self-contained server unit with 10-gigabit Ethernet networking, I/O and memory controllers.